SARASOTA, Fla. - A Republican candidate for the Florida House has apologized to her supporters for lying about having a college degree and posing with a fake diploma. But Melissa Howard, who is running in Florida's 73rd House District, which cover parts of Sarasota and Manatee counties, said she intends to remain in the race against Sarasota attorney Tommy Gregory. The Republican primary is set for Aug. 28. "It was not my intent to deceive or mislead anyone," Howard said in statement Monday. "I made a mistake in saying that I completed my degree. What I did was wrong and set a bad example for someone seeking public service. I am staying in the race and intend to win and lead by example from now on." FLA News Online, a political news website, reported last week that Howard did not graduate from Miami University in Ohio as she had claimed on her website. 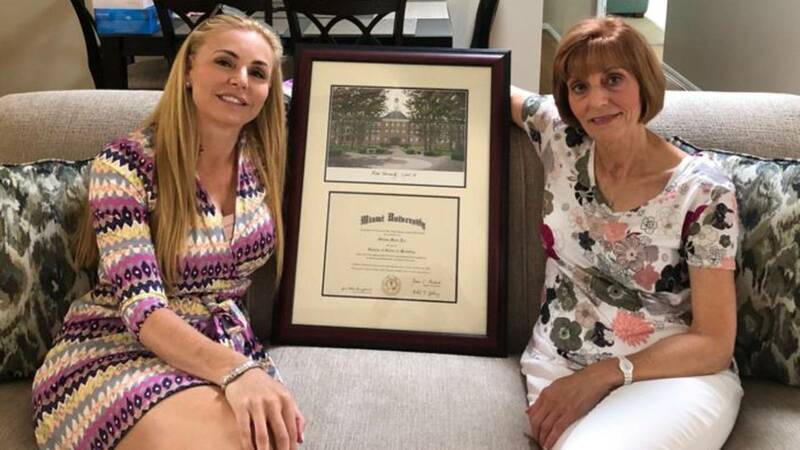 To refute the report, which her campaign called "fake news," Howard flew to Ohio and posted a photo on social media of her posing with what appeared to be a Miami University diploma. But a closer look at the diploma found several inconsistencies. According to the photographed diploma, Howard graduated with a degree that doesn't exist at Miami University in Ohio. The school offers a bachelor of science degree in business, not a bachelor of science degree in marketing. The photographed diploma also includes a signature of Robert Johnson, who was the dean of the graduate school, not of the school of business. Miami University General Counsel Robin Parker later confirmed to FLA News that Howard attended the university, but did not graduate from the school.